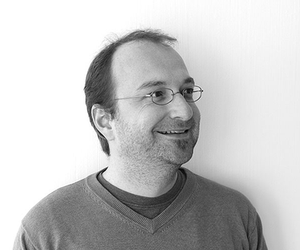 Gabriel Hauser, Project Engineer, WSDG, Basel graduated in early 2000 as Electrical Engineer at the Swiss Federal Institute of Technology in Zurich. The main subjects of his studies were analogue and digital signal processing and acoustics. His Thesis was titled “Reduction of Nonlinear Distortion of Loudspeakers employing Volterra Filters” (at Studer Professional AG, Switzerland). Following his studies he joined the WSDG main office, in New York, as a Project Engineer. After his return to Switzerland, he joined WSDG-Europe. His specialties include the fields of Acoustical Simulation and Measurement, complex Acoustical Analysis and Methodology as well as Architectural Acoustics. During his studies Hauser was a founding member of Abbaxx Soundsystems Ltd., whose principal field of work is sound reinforcement and loudspeaker technology. While with Abbaxx, he designed and developed sound systems for concert use, churches and installations. Hauser has worked for many years as a freelance sound engineer for live sound and recording studios. He has published articles in leading audio magazines and is a performing musician.